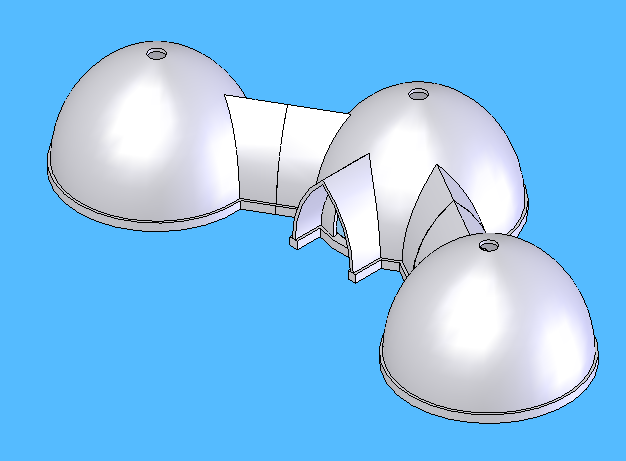 anyone know, who to desing the compass arm for chance the style of the dome , make it with more cone shape, like super adobe? I suppose is changing the compass arm, but maybe is with other tip, anyone knows? I am doing that sort of. My design is a Nubian arch. You have two chains or compass points. One central for the horizontal radius. A second offset from the true center by some distance. This offset compass is for setting the vertical arch. 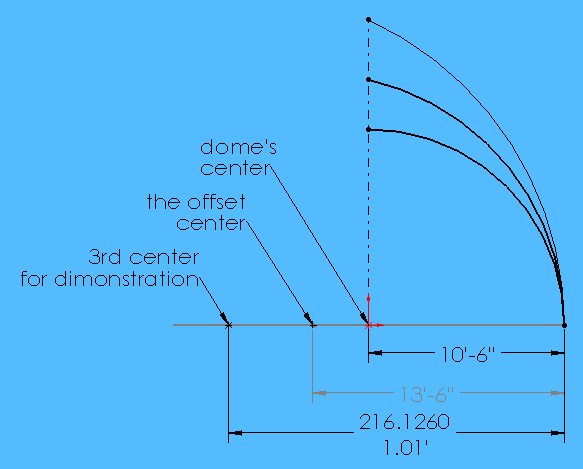 Imagine a dome larger than your dome centered on your center point. Now slice the larger one vertically at center and slid the arc inward so the radius's match your smaller one. You now have a cone or rather a much steeper vertical arc. If you do some research on how Hajjar did the super adobe arches you will see what I mean. do you have any picture of this two compass points? Thanks a lot Anthony!! @Martin10 Here you go. Hope this clarify's my intentions. I have included my pod concept as well. You can alter the entry/connectors as needed on any extensions needed for future "rooms". I got my Little Dragon working so I am testing various agents for foam. I will post that in a foam forum chain. @Martin10 This explains how the compass works. He is dimonstrating how to make the conical shape. It's used on sand bags but the same thing can be used on Arcrete blocks. The compass explanation starts at the 15:10 mark in the video. But who we can do it with compass? who to add length to the EMT? @Martin10 My thoughts on how to do this. Slide two diameter EMT lengths one inside the other and screw them together like a set screw. attach a threaded rod to one end of your compass with a couple of nuts so you can adjust for each course. The added distance should not be much and this should work great. You just have to determine how long that threaded rod needs to be. Or you could just add a length of EMT to the compass when your threaded rod is too short. EMT is cheaper than rod. Things may change in real practice and I will of course share all findings with the tribe. Nice compass! This article explains that an catenary arch is the ultimate strongest dome shape for carrying it's own weight and that a parabolic arch is the ultimate strongest dome shape for carrying a load in addition to it's own weight. 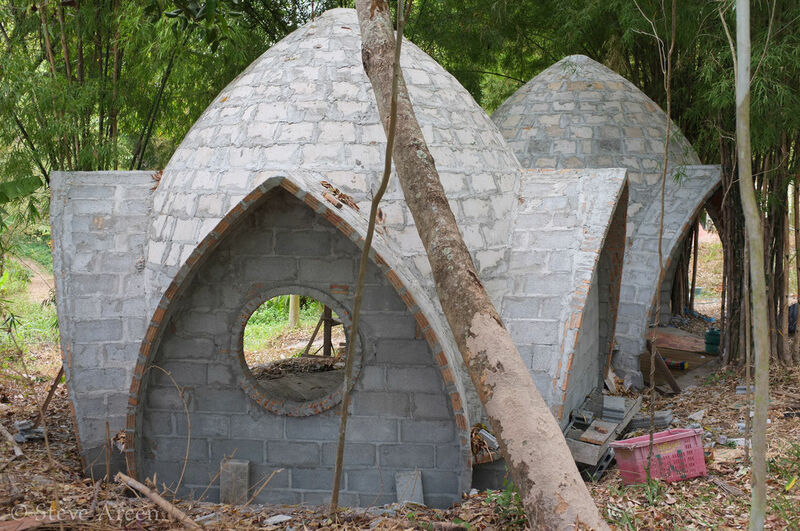 I have been thinking of this topic allot being that it seems to be the primary method of forming domes. The compass arm, and how one one chooses to use it, is a direct influence on the shape one ends up getting. Are there any more ideas by you Domies on how one could get interesting and structurally sounds dome shapes?